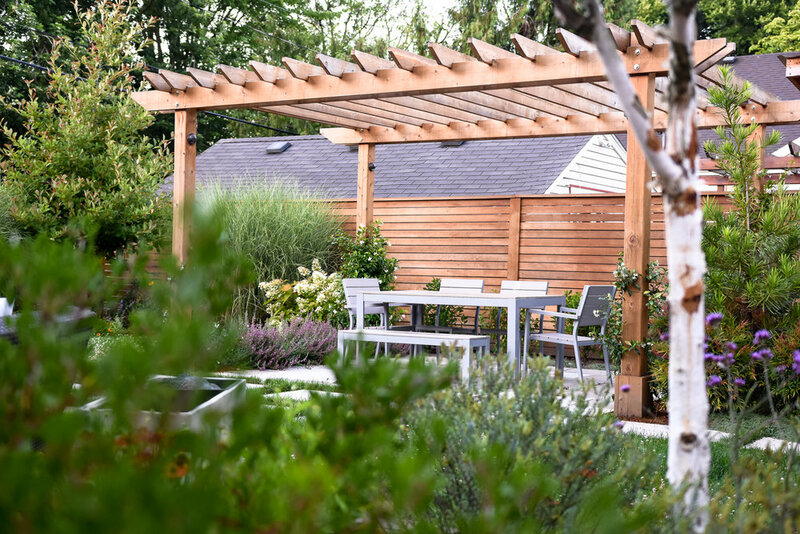 This landscape renovation came on the heels of a massive indoor modernization of this craftsman home by local collaborator, Bright Design Lab. Our intention was to maintain the design language of the classic architecture with some distinctly modern accents. 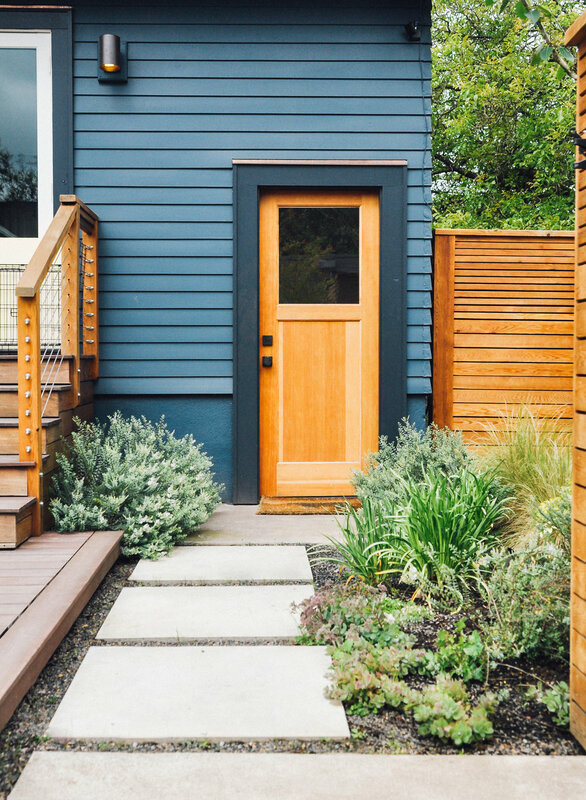 The front yard features new sand-finish poured concrete wall and stairs, with an eclectic planting palette of chartreuse and deep green foliage that complements the bold new color of the house. Plants include Smokebush 'Golden Spirit,' Farfugium gigante, Carax 'Bowels golden' and Ostrich fern. We continued the design thread of the sand finished concrete wall with a re-imagined backyard entry. 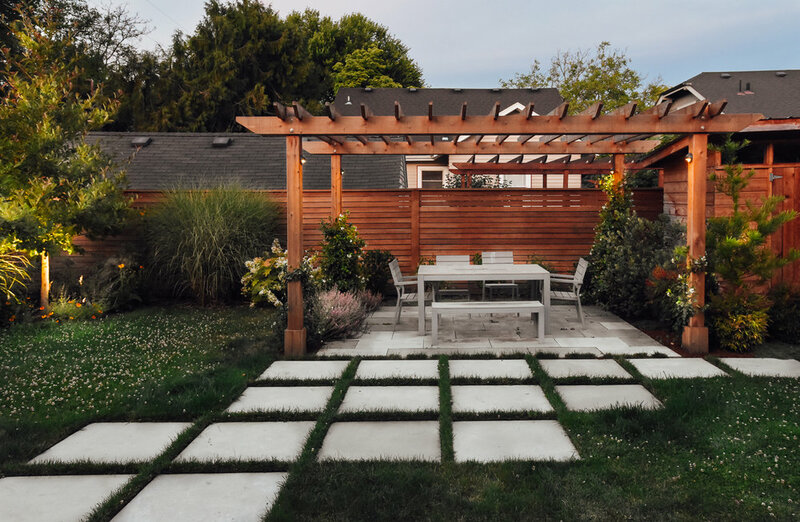 A custom cedar fence and pergola with integrated landscape lighting, gridded architectural paver transition to back patio and pergola, and an open-air Ipe deck and stairway with stainless steel railing come together to create an inhabitable outdoor living space surrounded by lush plantings.